Enjoy a Game of Darts! We are proud to host Monday night pub league teams. You can watch them play from 7:30 – 10 p.m. Monday nights. We have a drop-in league on Wednesday nights at 7:00 p.m. Every skill level is welcome. We have house darts if you want to give it a try. Come in and enjoy a great game of darts today! Friday and Saturday Night Good Times! For even more action, come in and try our laser bowling! Every Friday and Saturday night from 6:00 p.m. to 11:00 p.m., we turn off the lights and turn on the black lights, lasers, disco balls and spot lights! Then we crank up the music for a rockin’ and rollin’ good time! $6.50 per game and $3.00 shoe rental. 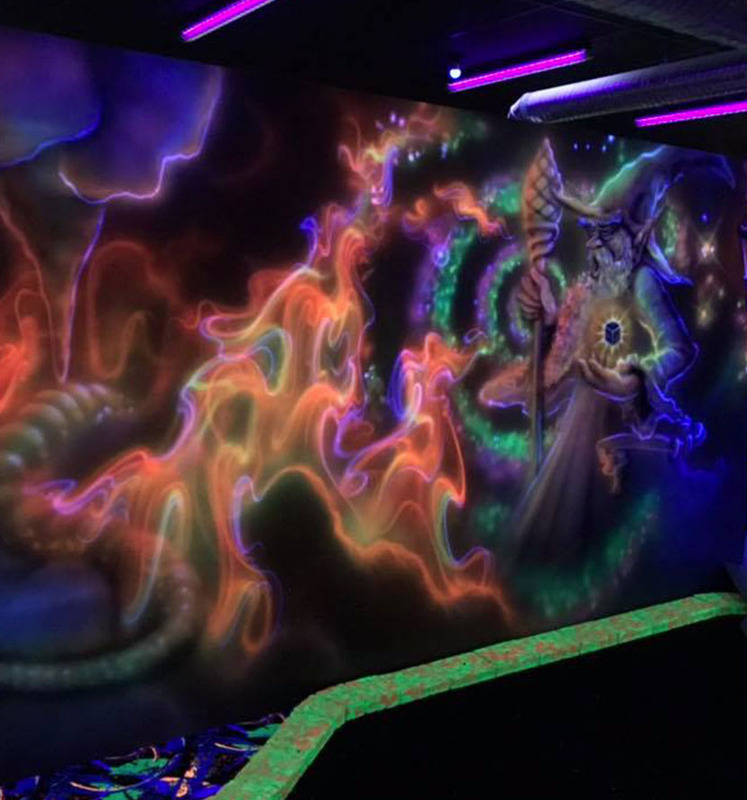 Roll N Stones has recently added World of Fantasy Blacklight Mini Golf! 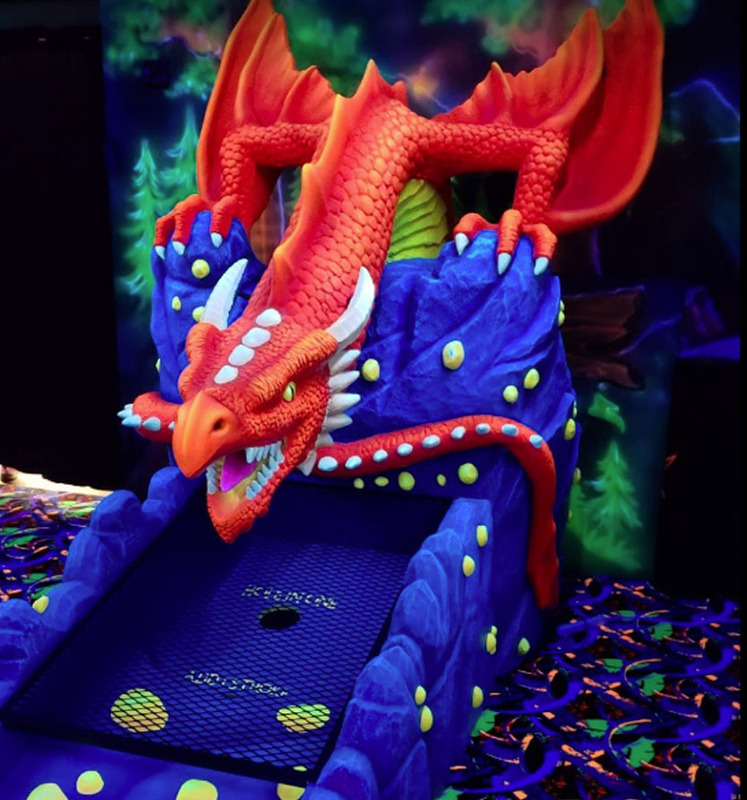 The nine-hole course delights with special glow in the dark paint lit by blacklights, featuring magnificent dragons, wizards and fantasy! Get lost in the first rate artwork and challenging holes. 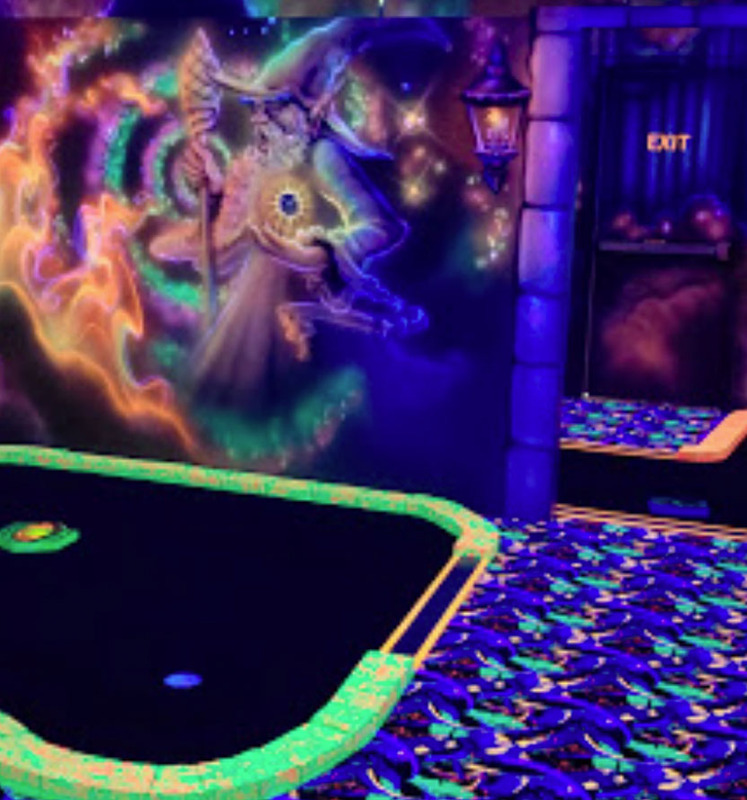 Great fun for the whole family, that is receiving rave reviews, promises a unique experience open seven days a week – and each additional round is HALF PRICE! You don’t need to bowl like a pro to join a league! Leagues are a great way to meet people, enjoy a little exercise and have a lot of fun. We have leagues for bowlers of all ages and skill levels. We have morning, afternoon and evening leagues. Please remember to bring your own plates, napkins, and cutlery. We supply these items for a small fee. If ordering one of our birthday party packages, you may bring your own cake. No other food or drinks are permitted. Laser bowling is available on Fridays and Saturdays at 5:00pm, and Sunday from 3:00pm to 5:00pm (add $1.00 each). Please arrive 15 minutes early as lanes are computer controlled and will start and end at scheduled times. All parties must be reserved in advanced and food must be pre-paid 3 days in advance. Good Afternoon to all our Customers, Our hours have changed as of Monday April 22. Make sure you take a look here or on our website. Friends!!! We got hit again this morning. We have some pictures please take a look. If you see something that looks familiar please please call the police then let us know. I’m asking my Facebook friends to help me again. Please like my business Roll N StoneS Fun Center so we can win our battle with Facebook!! Thanks!! 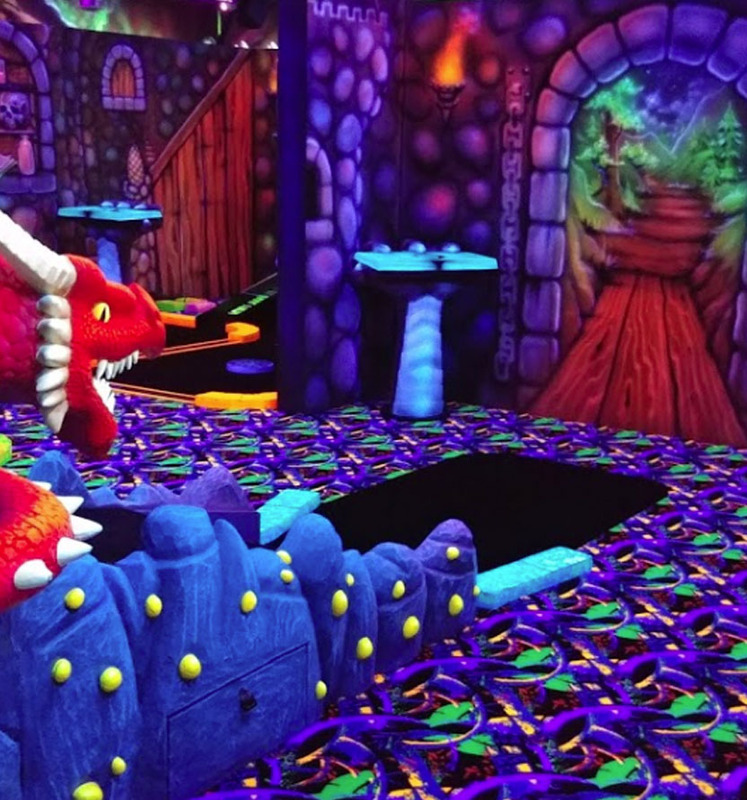 There's a new entertainment option in Penticton this fall, with the opening of a blacklight mini golf course inside the Roll N Stones Fun Centre. © 2019 InfoTelMultimedia.ca - iNFOnews.ca - Roll n Stones Fun Centre - All Rights Reserved. View our InfoTel.ca listing under Bowling Lanes for Penticton.